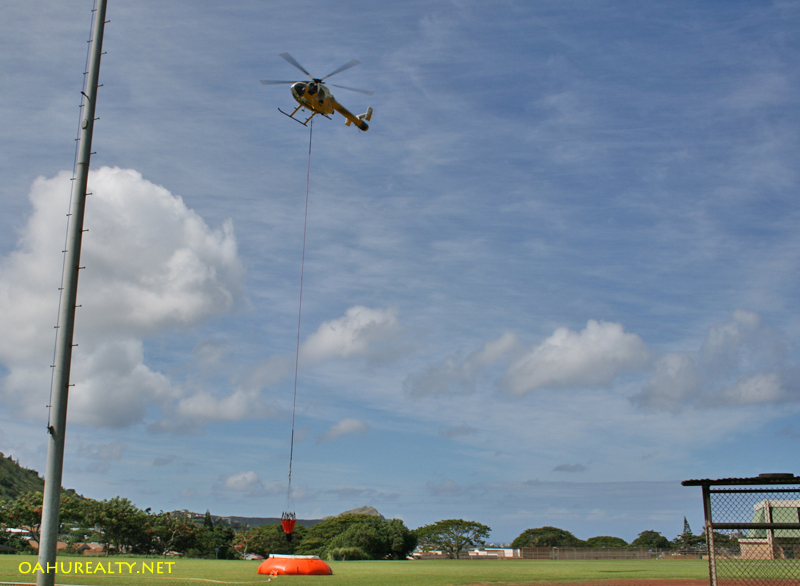 This morning the Fire Department Helicopter hauled multiple loads of water from Palolo Valley District Park to Waahila Ridge, where a brush fire burned for hours. The Palolo Fire Department is adjacent to this park. Firefighters setup the orange pool pictured and ran a hose from a fire hydrant to fill the pool. I watched the helicopter fill up and drop loads of water for around half an hour. 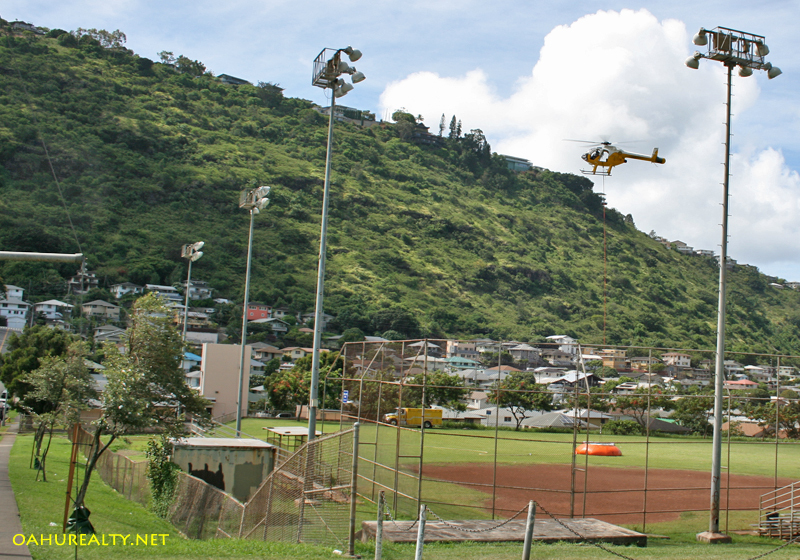 The helicopter was able to fill up the basket, fly up to Waahila Ridge and drop the water, then come back to the park in about five minutes. The helicopter made water drops for several hours, impressive! That's some precision flying. The picture above shows the helicopter preparing to take off with the load of water. The baseball field is in the foreground. 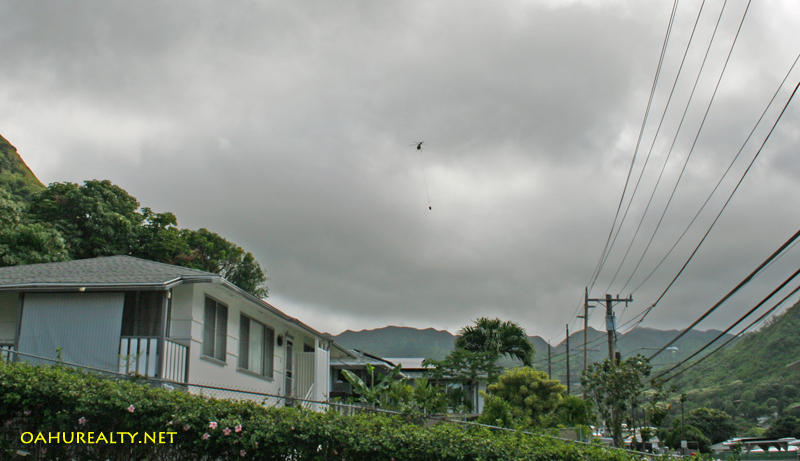 And here the copter has the water bucket in the air with Diamond Head in the back ground. It was a cloudy morning up by the mountains, making it difficult to see the smoke. I saw a few puffs, didn't look that bad however the firefighters were up there for hours, maybe worse than it looked from down in Palolo valley. The fire was spotted around 4:30 a.m. on May 10, 2017. 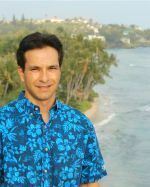 The following morning the fire had either restarted or wasn't fully extinguished and Honolulu firefighters were back on the ridge. Firefighters setup the pool at Palolo District Park again and the fire department helicopter performed some water drops, though not as many as it had on the first day. Waahila Ridge is up past Saint Louis Heights. There's a nice public park up there, accessible by driving up Bertram Street then making a left onto Ruth Place. The park was closed today due to the fire. News reports indicate the fire was extinguished today.